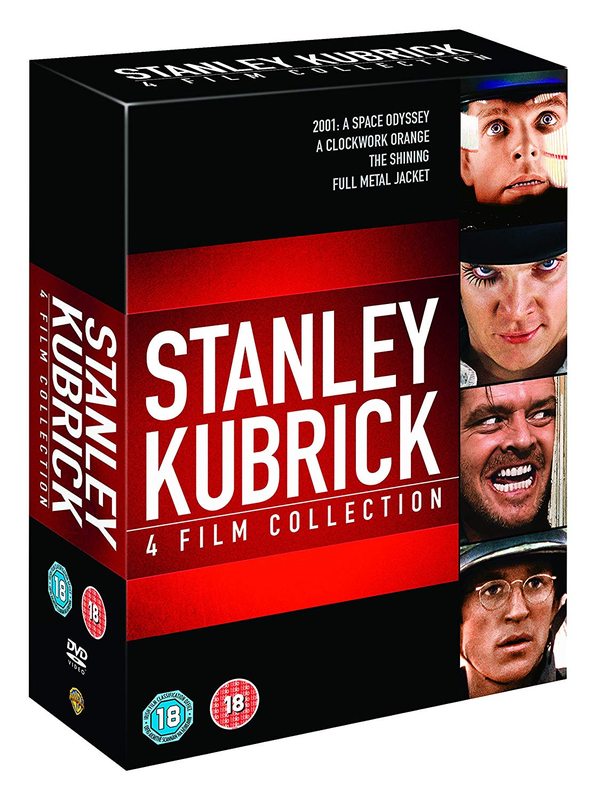 Collection of four films directed by Stanley Kubrick. In sci-fi masterpiece 2001: a Space Odyssey (1968), at the dawn of mankind, a tribe of pre-humans are visited on Earth by a huge black monolith. Thousands of years later, in the year 2001, scientist Dr Heywood Floyd (William Sylvester) discovers a similar black monolith on the moon, which then emits a signal aimed at the planet Jupiter. A year later, astronauts David Bowman (Keir Dullea) and Frank Poole (Gary Lockwood) are en route to Jupiter to investigate the signal's destination and purpose. However, their mission comes under threat when the ship computer, HAL (voiced by Douglas Rain), seemingly develops a malfunction. 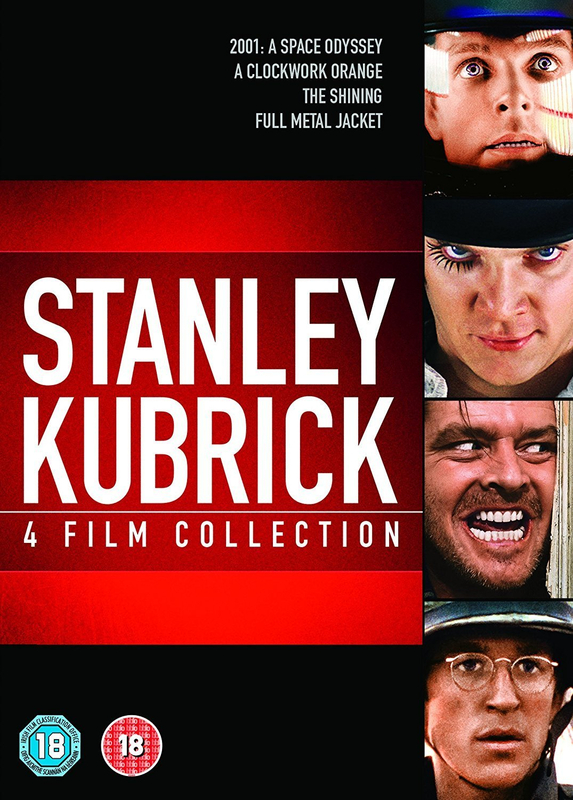 Kubrick's controversial societal satire A Clockwork Orange (1971) supposedly triggered copycat violence on its initial release and, as a result, the director withdrew the film from circulation in Britain, keeping it suppressed right up to his death in 1999. The film follows sadistic hooligan Alex (Malcolm McDowell) as he takes his gang on a cheery, remorseless spree of murder and sexual violence. When he is eventually captured, the authorities subject him to a series of experiments designed to rid him of his violent tendencies, prompting questions about our moral framework and the nature of free will. In The Shining (1980), adapted from the Stephen King shocker, Jack Torrance (Jack Nicholson) takes a job as an off-season caretaker at the remote Overlook Hotel in Colorado in an attempt to seek solitude while he writes a novel. Eager to get started, Jack disregards warnings that the hotel's isolation drove a former caretaker mad, and moves into the massive resort with his wife Wendy (Shelley Duvall) and son Danny (Danny Lloyd). But Danny has a supernatural gift, and senses an evil lurking in the hotel, and as winter storms cut the hotel off from civilisation, Jack starts to unravel. Full Metal Jacket (1987) unflinchingly details the dehumanising humiliation and mental torment of military service, as experienced by a bunch of Vietnam conscripts under the training of the sadistic Gunnery Sergeant Hartman (R. Lee Ermey). The second half of the film follows one of the recruits, Joker (Matthew Modine), onto the battlefield as he is thrown into the disastrous war at the height of the Tet offensive. The entire movie was shot in East London.